A man was placed under arrest this past weekend on a variety of charges after he was caught in possession of a police badge during a traffic stop. 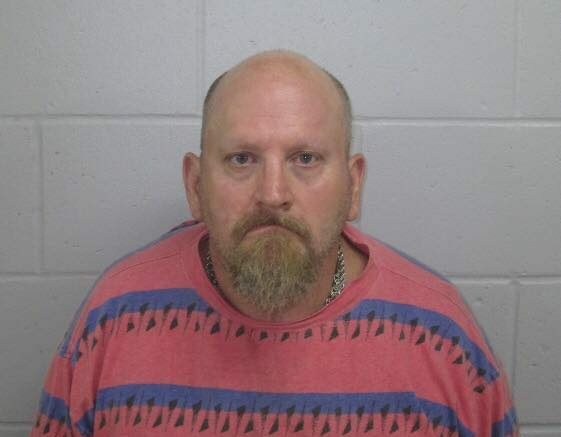 During the course of the investigation police found that the driver, 57-year old George Buechlein of Jasper, held a drivers’ license listed by the BMV as Suspended Infraction. As a result, his vehicle was towed. He was also found to be in possession of a badge police say belonged to a retired Princeton police officer and that Buechlein appeared to be intoxicated. Police say Buechlein failed Standardized Field Sobriety Tests administered by authorities. Buechlein was arrested, taken to, and booked into the Martin County Jail on a Level 6 Felony count of Forgery and misdemeanor counts of Operating While Intoxicated (Refusal), OWI under a Controlled Substance, Possession of Marijuana and Possession of Paraphernalia. Princeton Police Chief Derek McGraw confirmed that Buechlein has never been employed by the Princeton Police Department and is not a retired Police Officer. Lieutenant Jason Allen, District Commander of the Indiana State Police Jasper post, says his investigative staff has not been made aware of any recent incidents of people impersonating police officers. Lieutenant Allen stated he is confident this is an isolated event. The Martin County Sheriff’s Department and the Loogootee Police Department assisted ISP. Be the first to comment on "MAN ARRESTED POSSESSED POLICE BADGE"